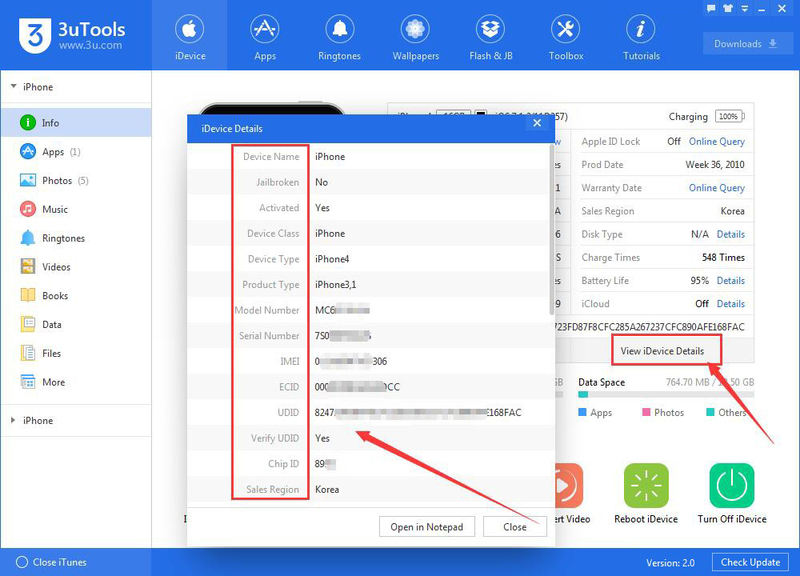 tutorial|How to View iPhone’s Information Using 3uTools? Are you familiar with your iPhone? Do you know the charge times of your iPhone? You may check your iPhone’s basic information in your iPhone's “settings”→“General”→“Above”. 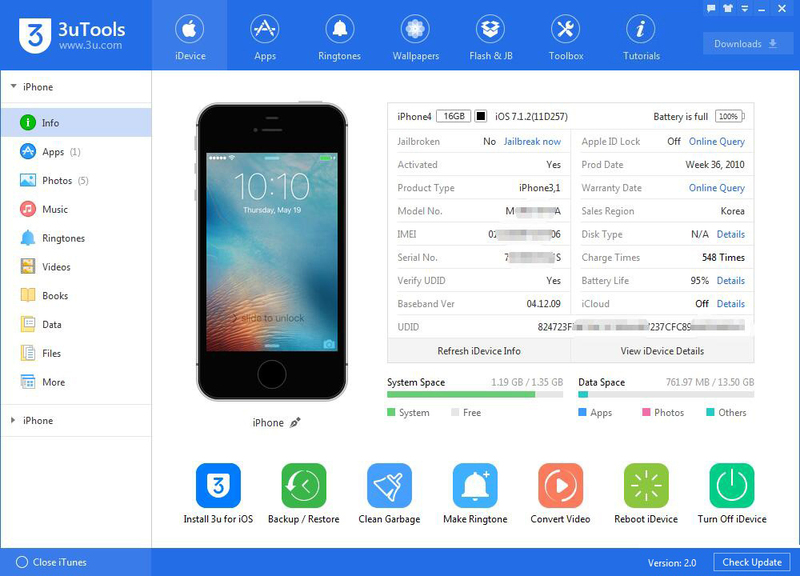 This tutorial aims to teach you how to view your iPhone’s information using 3uTools. Step1: Download and install the latest 3uTools on your PC. Connect your iPhone to PC using the USB cable. After it's connected, you can see the basic information of your iPhone, such as your iPhone’s product type, model number, IMEI, serial number, UDID, warranty date, sales region and etc. Step2: Click “Refresh iDevice Info”to update your iPhone’s information. 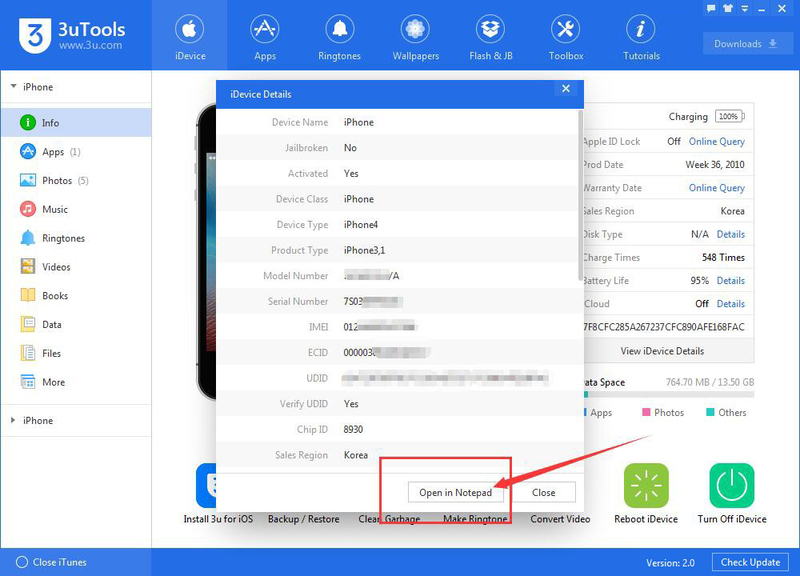 Step3: Click “View iDevice Details” to see more detailed information, such as your iDevice’s name, device type, ECID, Chip ID, device class and etc. 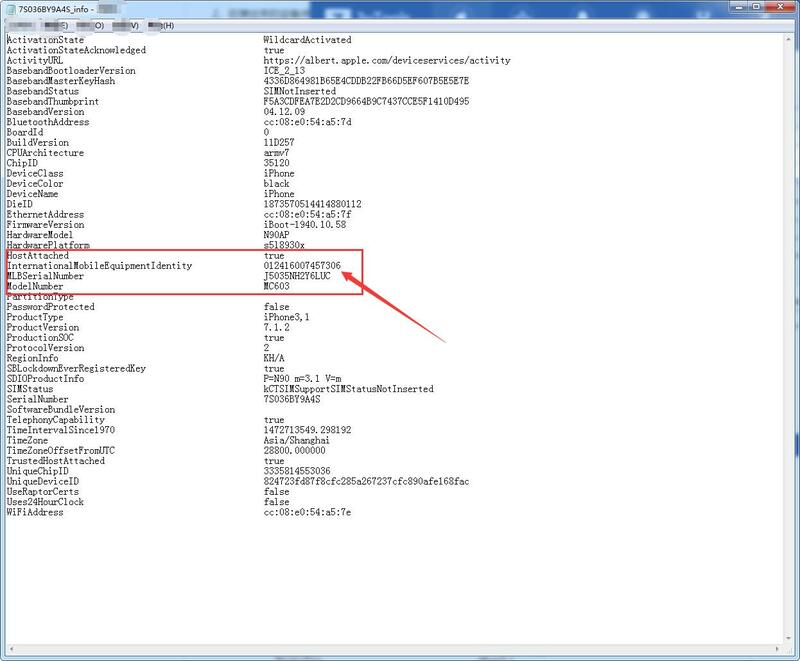 Step4: If you want to copy your iDevice’s information, you can click “Open in Notepad”. After it’s opened, you are able to choose and copy your wanted information.